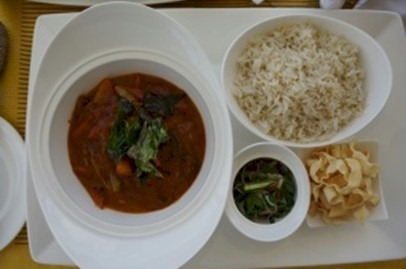 Book your tables now for tomorrow’s World Vegetarian Day. 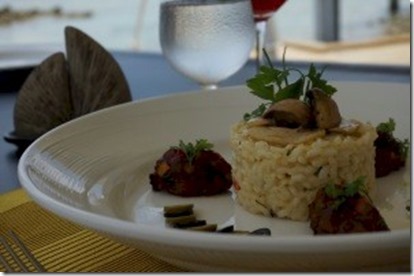 And the hot table in the Maldives is at Atmosphere Kanifushi’s “Just Veg” restaurant. Pretty much all Maldivian restaurants in the Maldives have vegetarian options (especially with its India proximity), but “Just Veg” is the only all vegetarian restaurant in the Maldives. In fact, tomorrow, Just veg will be celebrating the World Vegetarian day with an in-residence Michelin Star Guest Chef – Mr.Fabrizio Marino, one of the very few Vegetarian Michelin Star Chefs in the world. International Coffee Day today. And in the United Nations of coffee styles, Kurumba presents the most Maldivian. 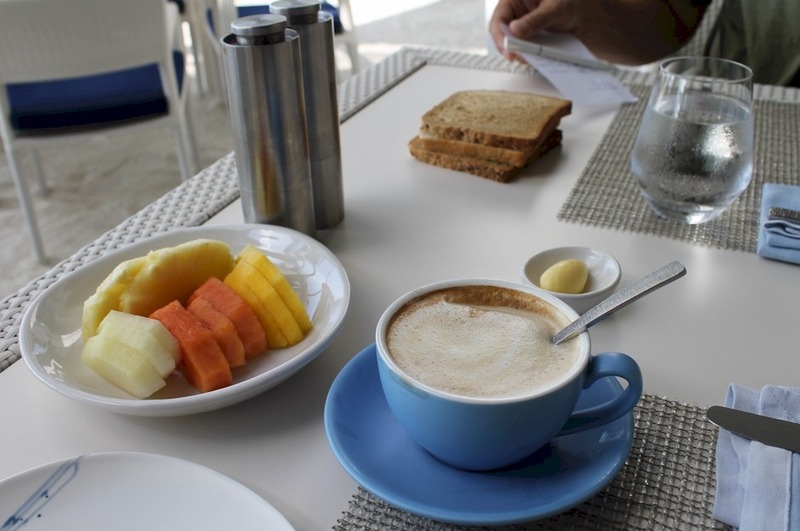 When we first started coming to the Maldives in the 90s, about the only thing we missed was a good cup of coffee (or latte or cappuccino) in the morning. Fast forward a decade, and the La Spaziales have arrived and you can get any pet percolation you desire including all forms of add-ins, milk froth and strengths. 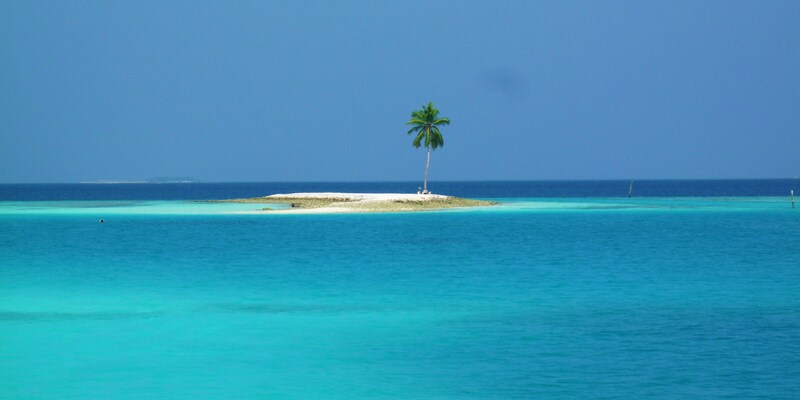 And in the Maldives, the most topical tropical variation is the perfectly paradise essence of coconut. So it didn’t come to much of a surprise to us that the epicentre of all things coconut in the Maldives, Kurumba, featured just such a coffee creation on its breakfast menu – the Coconut Cappuccino (see above). A touch of cocoa and think breakfast mocha Bounty bar. Make mine a double-shot, skinny, extra Kurumba latte grande with cinnamon sprinkled on top! As Fashion Week has shown, there is nothing like just the right setting and backdrop to “make” a photo. When I was selecting shots for the photoshoot posts, I strong favoured shots by the water (only 2 of the 52 shots were not by the water). The ocean is what engulfs and defines the Maldives. The “wading into the lagoon” is a popular pose (as is lying down an wallowing in the shallows), but then a part of yourself is submerged and hidden. If you want to set yourself apart, the Ocean Pearls of Jumeirah Dhevanafushi happens to have a random out-cropping of rock between a couple of the water villas. 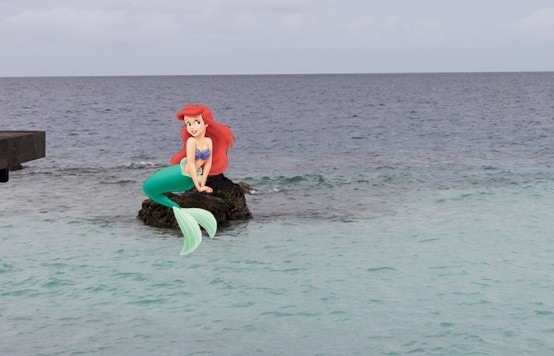 It is easy wading/swimming from to get to it where it provides an ideal mermaidesque posing platform jutting out of the sea. 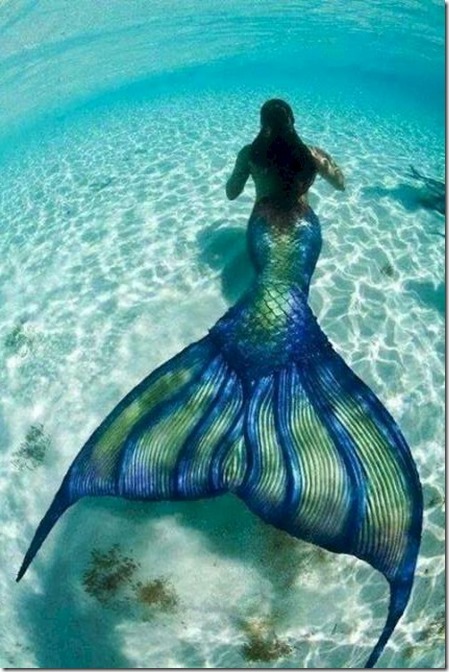 So for those channelling your inner-Ariels (or if you are very lucky, maybe one of the Maldives’ own extremely rare indigenous mermaids – see reported snap below – might just perch there themselves). In this past week’s fashion fiesta, 23 of the 194 shoots were accompanied by YouTube videos of the shoots. 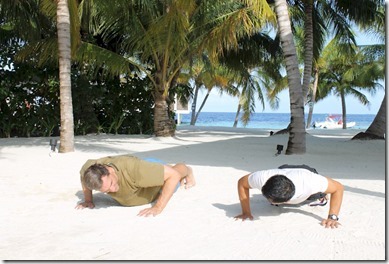 The video shoot adds an extra dimension of both alluring poses and immersion into the paradise of the Maldives. The biggest source of shoots was Prof. Hersch Chadha who has an entire YouTube channel full of video shoots he does in the Maldives at the Taj Exotica resort. His subjects are all Russian models so he has played a big role in driving that country to the #2 slot on the country league table. Tune in for a more animated fashion feast for the eyes. London Fashion Week comes to a close today wrapping up a glimpse of the eye-catching styles in the season ahead. And here too at Maldives Complete, I’ve shared just a small sample of the beach beauties collected as a part of the Fashion Week research. Overall, I‘ve found nearly 200 photoshoot subjects over the past month with the help of the resorts themselves as well as my many website supporters (and more keeping coming in every day now). I’m also a big database guy. Structured information allows for dissection and interrogation. 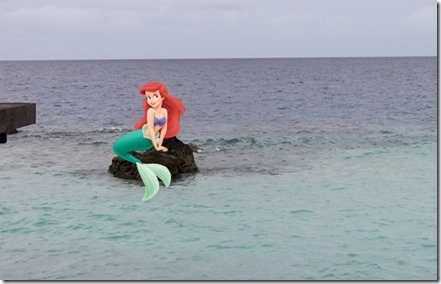 So in addition to the Resort Room Type and Dive Site databases, I have now started a “Beauty” database with over 200 entries. Details on not just the names, provenance and resort of the highest profile and most dazzling photo shoot subjects, but also information about their Wikipedia, Facebook, Instagram and Twitter profiles. It all makes for some intriguing analysis which I will be sharing in the coming months. The professions a bit of an arbitrary distinction as oftentimes prominent Athletes become Models, Models become Actresses, Actresses become Bloggers, and so on. I have a few examples where the person has all five listed in their biography. I was struck by the prominence of the “Fashion Blogger”. I had no idea there were so many out there. I had no idea they were so popular (judging by their social media numbers). You obviously need to have a little something to say to be a fashion blogger. But the two primary prerequisites seem to be (a) you need to be female (I did not come across a single male fashion blogger), and (b) you need to be attractive (I did not come across a singe fashion blogger where I thought, “well, her readers must be following her for her writing skills…”). Knowing the resorts of the shoot and the names, my first step today was to add a picture to the standard Resort Profile of a featured photoshoot beauty (bottom right-hand corner). 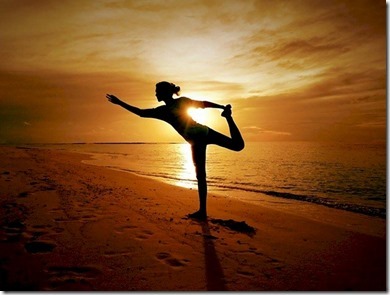 Of the 121 active resorts, I have at least one fashion shoot example for 73 of them. A few highlight stats to mark the end of #LFW2015. 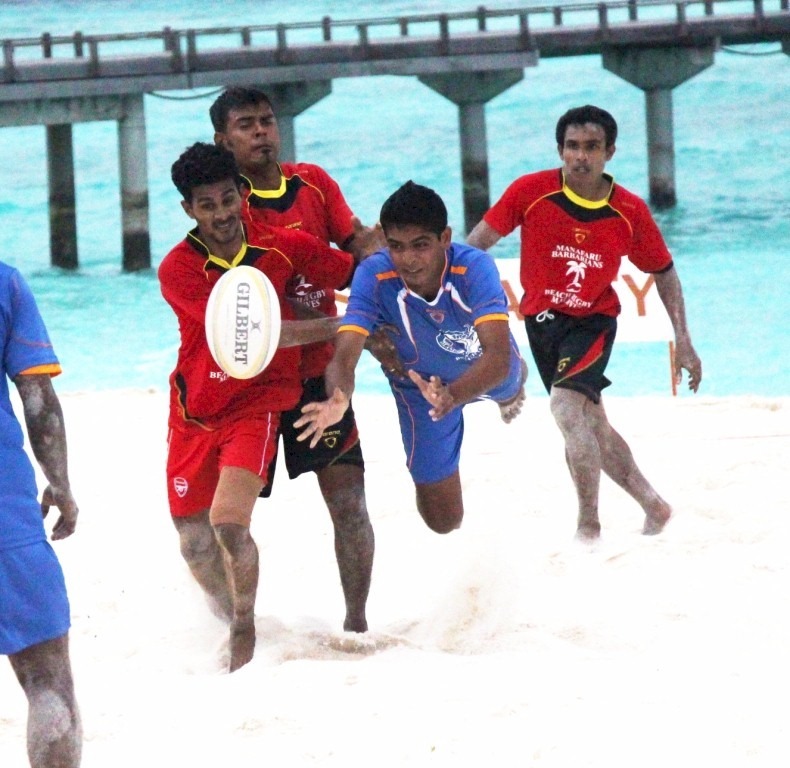 The top of the league table is Gili Lankanfushi. Gili benefits from their hosting the Kingfisher Calendar shoots which brought a fair number of models to its beaches. But its popularity extends to all sorts including this week’s “Pirate Model”, La Carmina. The UK led the country league table which is probably a function of the destination’s popularity among press. One of the major tabloids, The Daily Mail, runs a regular feature on celebrity holidays and regularly sends big names to various resorts in the Maldives. The two models featured today showcase the top two resorts (Gili Lankanfushi and LUX Maldives) and the top two countries (UK and Russia) though in swapped orders (I couldn’t find examples of UK models at Gili and vice versa. If the London Fashion Week post has whetted your appetite for gazing on the beauty in the Maldives…as well as some of the comely visitors who visit, then the website packed with Maldive fashion shoots is WorldSwimsuit.com. They provide a blog and range of features which covers the most extensive range of photoshoots around the world including the ever popular Maldives for the likes of Billabong, Adidas and GMC. They also have a number of YouTube videos about their shoots such as Xenia Deli’s. Their recent Maldives tour was actually sponsored by their South Africa group and so it doesn’t show up in search of www.worldswimsuit.com, but instead you have to look in southafrica.worldswimsuit.com. It’s not just the men who get to enjoy head-turning beauties this week, but the women get treated to fine specimens themselves with the opening of the Rugby World Cup (as a lady friend of mine commented “Us ladies had to pause and rewind a few times when watching the match last night. 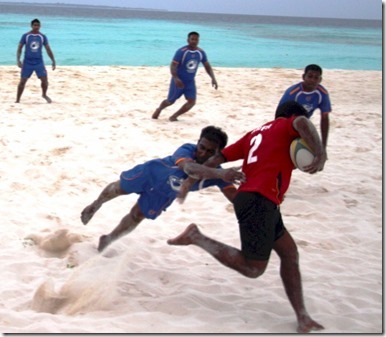 Those Fijian giants, those tight shorts…”). Rugby is a sport where the “small island states” (eg. Samoa, Fiji, Tonga) stand shoulder to shoulder with the big guys. In fact, even many of the traditional powerhouses in the sport are themselves island nations – New Zealand, Australia, England, Japan. 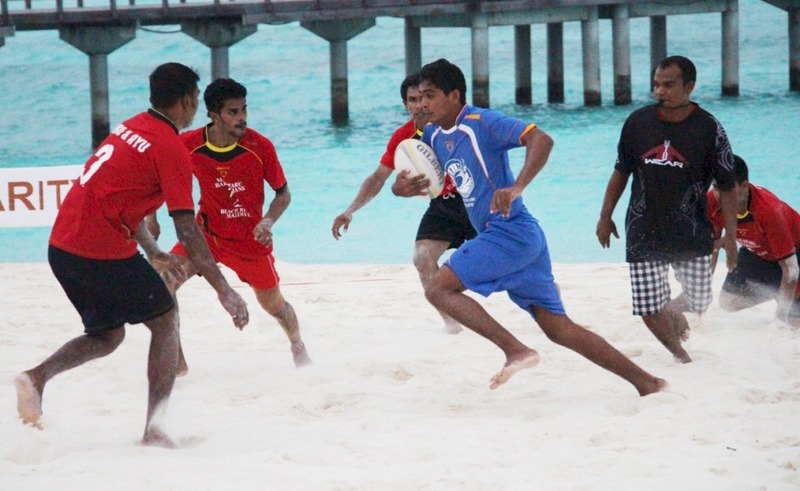 I’m not sure that the Maldives will be fielding a national team anytime soon, but JA Manufaru resort has hosted its own beach rugby games with staff and guests. In fact, a prominent England player joined in the fun when he visited the resort a while back. 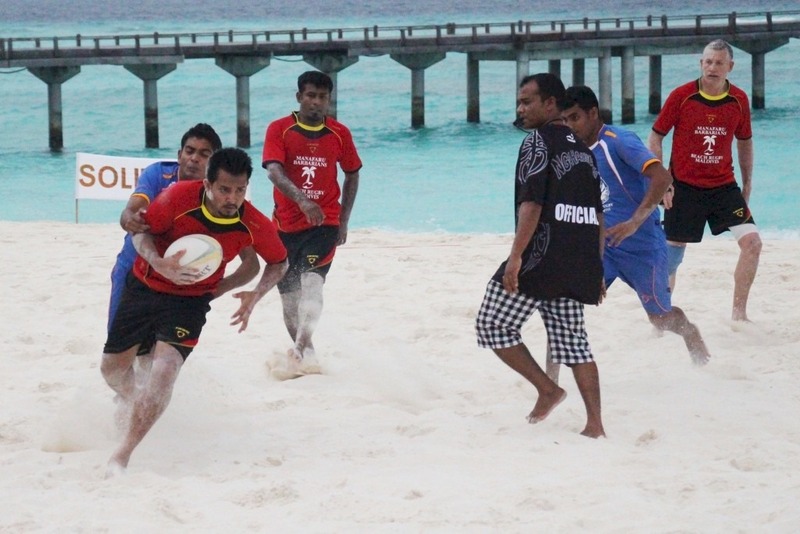 Front Office Manager Ahmed Ashfaq explained, “Some of our managers were interested in playing beach rugby including myself. We had a group of people who used to play twice a week every day. The idea of playing a friendly match came up with in the group. 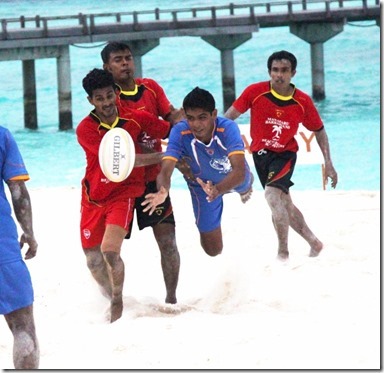 The two teams were the’ Manafaru Barbarians’ were a team selected by general manager and ‘Ball Crusher’ is from F&B team.|” The Barbarians won by a score of 11-7. For those of you who have no idea what the pictures are all about, I have attached at bottom a link to a helpful instructional primer video done in the spirit of London Fashion Week going on now (see bottom…so to speak).